Liverpool will come to a standstill on Monday afternoon to mark the 30th anniversary of the Hillsborough disaster. Flags will be flown at half mast in the city and a minute long silence will be held at 3.06pm - the time the fateful 1989 FA Cup Final was stopped. Moments later the town hall bells will chime 96 times to remember all those who died as a result of the crush on the Leppings Lane terraces. The Mersey Ferries will also mark the anniversary by sounding their horns, and traffic will be stopped for one minute at both tunnels under the river. On Monday Liverpool ’s players and staff will observe the 3.06pm silence. Families of those who died will gather for a private memorial at Anfield. And although there will not be an official public event at the stadium, fans will be able to sit on the Kop and reflect on the tragedy. YNWA the 96 and their families. Hard to believe that 30 years ago today I was an 8 year old boy at my Dad's old house in Craven Street, Birkenhead, listening to the radio as all of this was unfolding. Sadly taken away but never forgotten. 30 years ago and those images will never fade. Even without a club they will always be remembered Billy. I was watching the match at the time. It was sickening having to watch it all unfold Terrible day for the whole nation and for those who lost their loved ones, it's beyond thinkable what the family's went through. RIP 96. Don't know what to say really, just a tragic time and something that shouldn't have happened. As a 22 year old lad I watched it all unfold,never forget the 96. Still very raw and difficult to comprehend. The pain the families have gone thru is beyond my understanding. Just a terrible tragedy. Hard to believe it is 30 years ago. Each year the memories of watching from the stands, not knowing the extent of what was happening, don't get any easier. I was 18 and just in from a shift in a Safeway store. Like yesterday - even as a remote fan. Can only imagine how you guys in the proximity were left feeling. Hard to believe its 30 years. Still so clear in the memory. God bless the 96 who didnt come home and the families of each that have had to cope without their loved ones. The city of Liverpool will always hold them in their hearts and for those who were born after that horrible day and grew up in a different part of the world, like myself, it's up to us to educate ourselves. 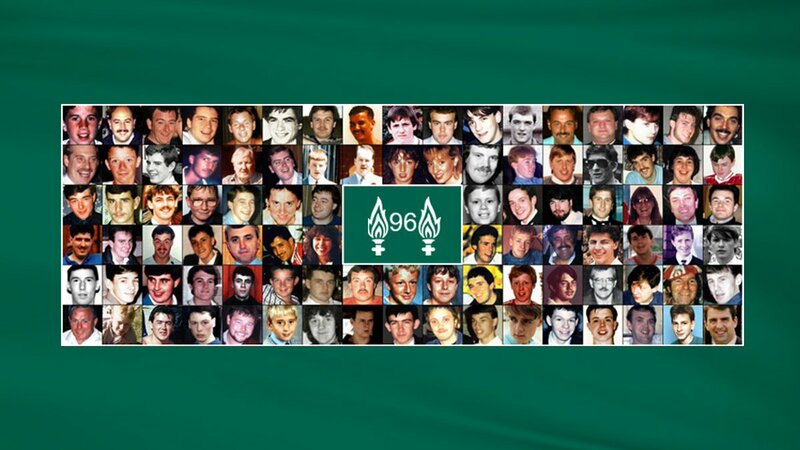 Those families and that city's commitment to truth, justice and all round decency is the greatest memorial to each and every one of those 96 souls. They will never be forgotten. I will never forget watching it unfold on the tv. Those images will stay with all of us forever, I’m sure. The dignity of their families during the long fight for justice is a fitting tribute to each and everyone of them. Hard to believe it’s been 30 years. RIP, you never did and never will walk alone! So much respect for the families,YNWA. Loved this from the game after Mo scored. Gone but never forgotten, R.I.P. the 96 Y.N.W.A. After the game the truth unfolded and everyone was mortified. Just total silence in the club house following the updates and feeling totally helpless. Horrible, horrible day, etched in my memory. Had family in the stand, who’s wife decided not to go. If she had they would have been together in leppings lane in stead ! Swapped their tickets 2 for 1. Never known if the ‘two’ perished that day or not. Not sure I want to know to be fair. 96 wasted lives due to incompetence and arrogance of the highest order.